OMG Posters! 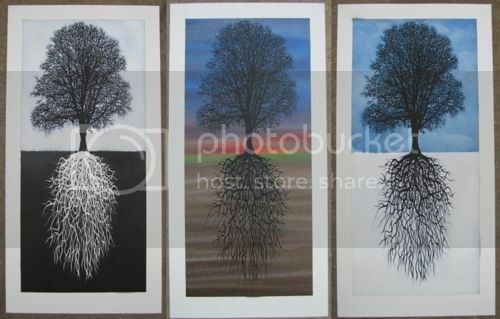 » Archive "Earth Day Tree 2011" Art Print by Ian Millard (Onsale Info) - OMG Posters! For the third year in a row, Ian Millard will release a special art print for Earth Day. “Earth Day Tree 2011″ is a 15″ x 30” spraypaint/stencil print, has an edition of 40, and will cost $60. There’s also a gold foil version with an edition of 9 for $75. Because of the process, all prints are totally unique. These go up today (Friday, April 22nd) at 10am Mountain Time. Visit IansPrints.com.